Have some overripe bananas you need to use? Time to make banana bread! 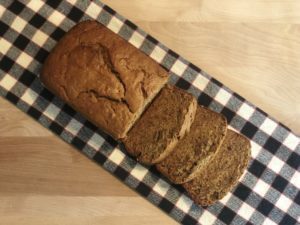 And we’ve got a new vegan banana bread recipe just for you. 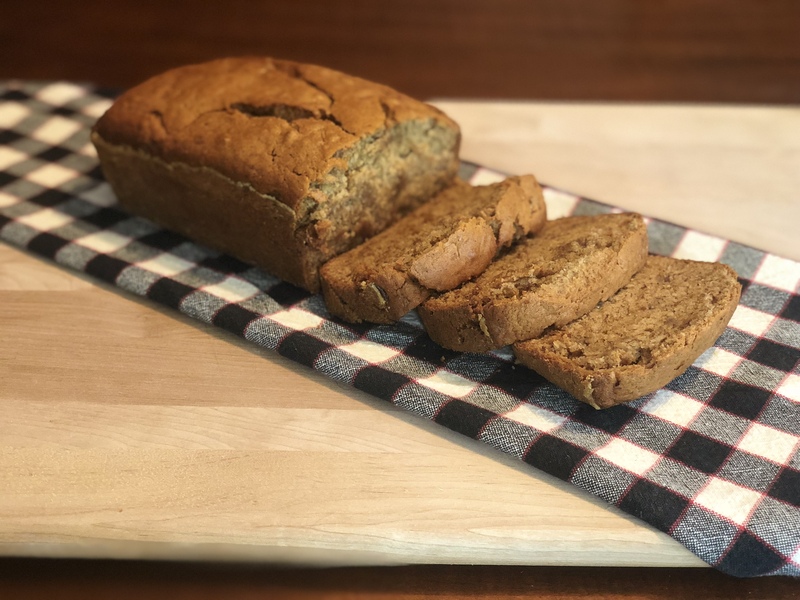 Not only is banana bread delicious, but it’s a great way to satisfy that sweet tooth. Cut up and enjoy a slice for dessert after dinner, or try eating a piece of banana bread as breakfast for those on-the-go mornings. However you choose to serve up your banana bread, this spiced treat is sure to make you smile. In a large bowl, sift together flour, baking powder, baking soda, cinnamon, nutmeg, clove and salt. In a stand up mixer, cream together butter, sugar, vanilla extract, and brown sugar. While the mixer is creaming the ingredients, mash bananas in a separate bowl, just enough so there is still some texture but well mashed. Add mashed bananas in the mixer. The banana acts as a binder so no need to add any egg substitute like a chia egg for example. Turn mixer speed down to low and gradually add 1/2 cup dry ingredients into the stand up mixer. Mix until combined then add another 1/2 cup. Keep repeating the process until all of the dry ingredient mixture winds up in the stand up mixer. Finally, mix until all ingredients are nice and smooth. Pour batter into prepared loaf pan and bake for 1 hour and 20 mins or until toothpick comes out clean. Let cool for 10 mins before cutting. Enjoy with a nice cup of coffee or your favorite cup of tea.